Great Britain (OR Your Country) with Heart Stamp. It has NOT been laser cut therefore will stamp first time every time. It shows good old Blighty with a heart placed over the Midlands. 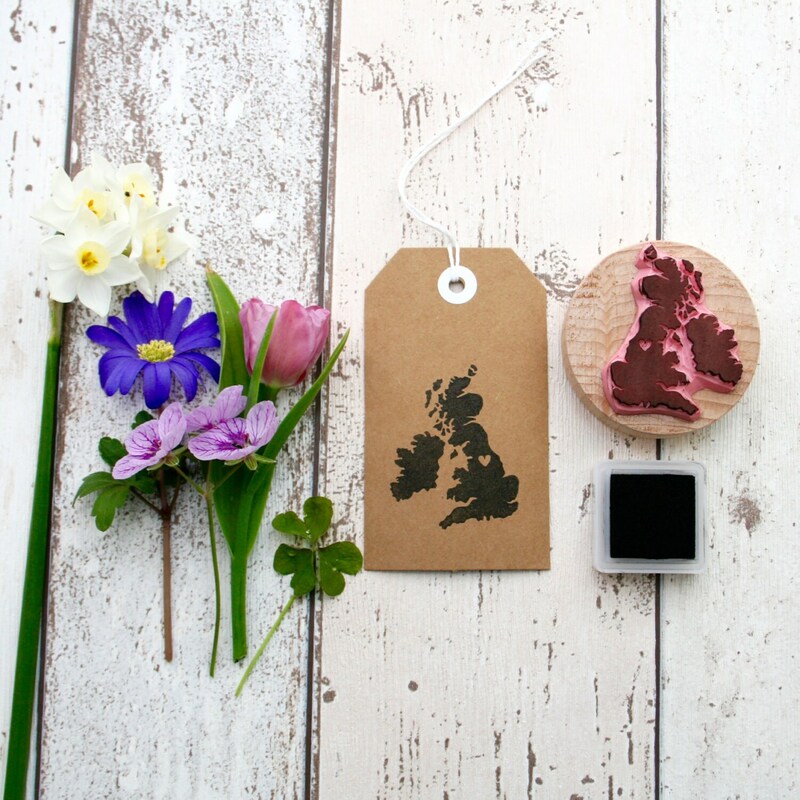 These are made to order so you can place the heart anywhere in the UK! 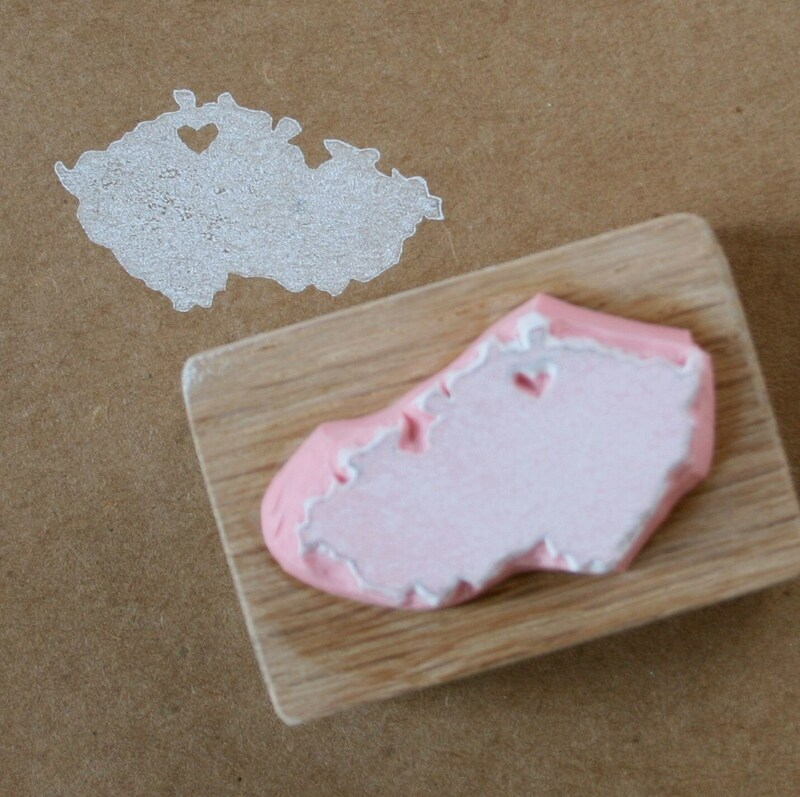 You could even chose any country you like and we can place the heart over your hometown. It is made from the finest rubber and mounted on a solid beech kiln dried block. 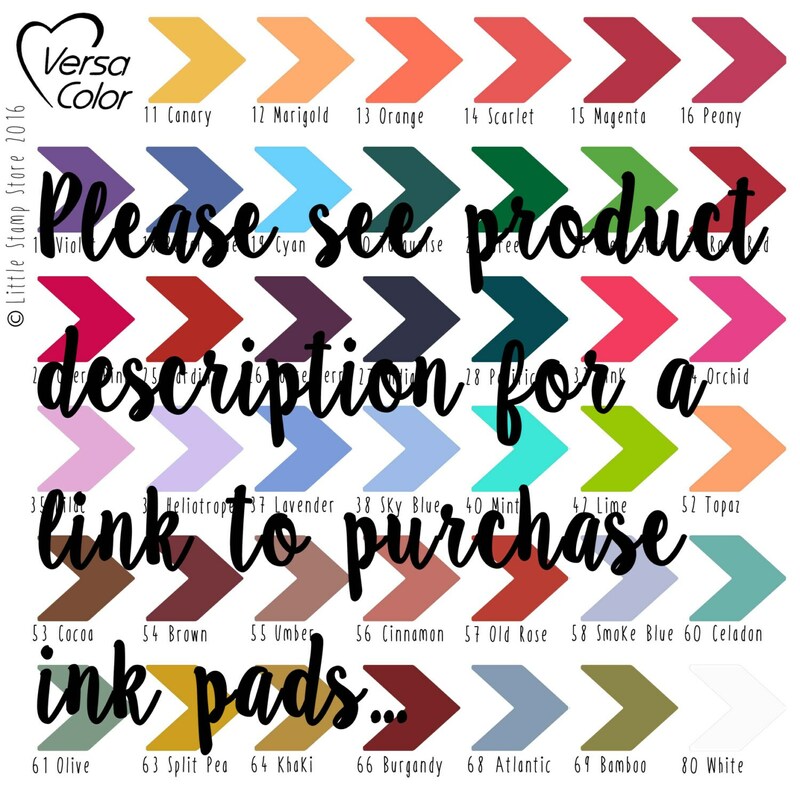 Perfect for card making or invitations! It can be used with paper and fabric ink so could be used to spruce up t-shirts, bags, pencil cases etc. This product is made to order and can be made up to 6cm in diameter and will mounted to a round mount. If you would like your stamp larger than 6cm please select the Custom Order option on the left hand side of the screen. Featured in the picture, the stamp is approx 4cm x 4.5cm. Love my little stamp with the heart over Norwich! Arrived beautifully packaged in a sweet little drawstring bag. Can't wait to get stamping. A very happy customer - will be back soon! This is a fabulous item! :) Thank you so much for creating it for me! 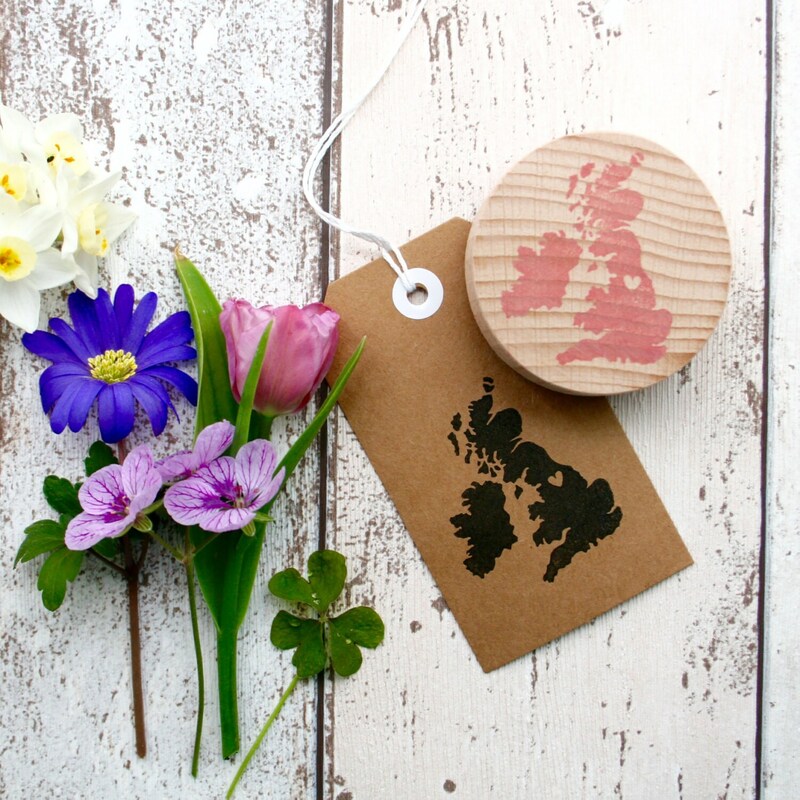 Lovely stamp, just what I need to show that my cards are made in UK!.